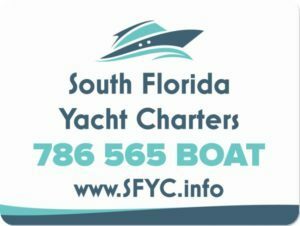 South Florida yacht charters with captain & amenities. Enjoy a sunset cruise on the bay for a few hours, or charter to an island overnight. 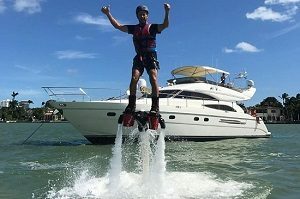 Private boat rentals Miami. Luxury Boat Rentals Equipped With Jet Skis. Party Boat Miami Sandbar Excursions. 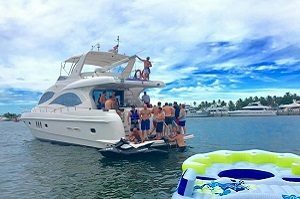 Private Yacht Tours to Bayside, Hollywood, Haulover, North Miami Beach, & South Beach. Board our super yacht cruise for your amazing party boat adventure. Event Catering & Sound Systems. This party boat adventure is amazing. Miami super party yacht rental with crew. 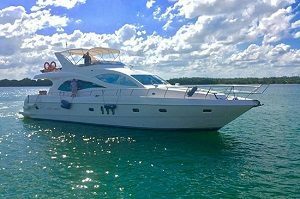 South Florida Yacht Charters has the best luxury fleet in the business for yachting, boating, boat tours, yacht rentals with jet skis & watertoys. Our event staff will help you plan your dream yacht charter. We have crewed charters from Miami to Bimini, The Bahamas, The Caribbean & The Florida Keys. Contact us for all your luxury yacht charters & private boat rentals in Miami Florida. Corporate Events, Holiday Vacations, Party Boats, Shore Excursions, & more... We can accommodate any fishing or diving charter upon request. Contact us for any yacht charters, boat tours & party yacht rentals today.